Italy had smart grid before the name even existed and it works. The world's largest smart meter deployment was undertaken by Enel SpA, the dominant utility in Italy, to over 27 million customers. The world's largest smart meter deployment was undertaken by Enel SpA, the dominant utility in Italy with over 27 million customers. 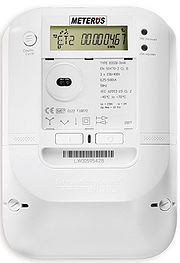 Over a 5 year period beginning in 2000 and ending in 2005 Enel deployed smart meters to its entire customer base. Italian electricity prices are more expensive than average European rates, partly because Italy produces 70% of its electricity from hydrocarbons, while in the rest of Europe the same percentage is produced from coal and nuclear fuel. These meters have integrated bi-directional communications, advanced power measurement and management capabilities, an integrated, software-controllable disconnect switch, and an all solid-state design. They communicate over low voltage power line using standards-based power line technology from Echelon Corporation to Echelon data concentrators at which point they communicate via IP to Enel’s enterprise servers. However, power line communications remains a relatively rare form of communications for smart meter deployments in North America, which have tended to rely on utility-owned wireless networks so far. ADDRESS - Active Distribution network with full integration of Demand and distributed energy RESourceS - A large-scale Integrated Project co-founded by the European Commission under the 7th Framework Program, in the Energy area for the "Development of Interactive Distribution Energy Networks". Its target is to enable the Active Demand in the context of the smart grids of the future, or in other words, the active participation of small and commercial consumers in power system markets and provision of services to the different power system participants. The total budget is €16 million, with €9 million financing by the European Commission. The project started on June 1st 2008 and will last 4 years (2008 - 2012). It is carried out by a Consortium of 25 partners from 11 European countries, and is being coordinated by Enel Distribuzione. BPL – Broadband over Power Lines - Uses PLC by sending and receiving information bearing signals over power lines to provide access to the Internet. Enel’s smart electricity meter that communicates through PLC to the nearest substation, next, centralized control rooms read the data through GSM cellular communications. The system provides a wide range of features, including the ability to remotely turn power on or off to a customer, read usage information from a meter, detect a service outage, detect the unauthorized use of electricity, change the maximum amount of electricity that a customer can demand at any time; and remotely change the meters billing plan from credit to prepay as well as from flat-rate to multi-tariff. Reduction of Electricity Theft - This is probably the biggest saving in Italy's case and was a problem that plagued that market. While some customers can indeed steal services by breaching the data channel, it is an additional barrier for criminals. Without some relatively sophisticated equipment, it is hard to hide where electricity theft is occuring. With 'dumb' meters, it is far easier to game them. Cost Savings - Savings at the household level are not dramatic, but when multiplied by millions of customers, the investment has a reasonable pay-back. Enel’s smart grid system cuts power bills by about 1.5 Euros per customer per month, says Bob Dolin, CTO of Echelon, which put in the power-line networking equipment that underlies the system. That comes to 18 Euros a year per home. But since the utility has installed smart meters in 30 million homes since 2001, added all up that comes to approximately half a billion Euros a year. The utility raised €2.2 billion to install it, giving it a four-year payback. Avoided High Voltage - The savings that come from smart grid technologies, however, aren't always easily predicted. In Italy the money in homes saved doesn't come through demand response programs. Instead, it comes because the utility can deliver electricity at lower voltages to homes because of the meters and because of phase balancing, a process that better matches the output from the utility with the usage patterns of homes. Pre-Payment Option - The Italian project also deployed pre-paid power systems in some locations. It's like a Laundromat: you put money in, and power runs until the cash runs out. England had this after World War II. Existing Infrastructure - The extensive powerline infrastructure already available appears to allow people in remote locations to access the Internet with relatively little equipment investment by the utility. Also, such ubiquitous availability would make it much easier for other electronics, such as televisions or sound systems, to hook up. Signal Coverage - The primary advantage of power line arises from the fact that it has better signal coverage than wireless. Power line networking chips allow communication signals to travel on the same wires that go to the lights. As a result, rapid, finely tuned commands can be shuttled from a utility without worries that other radios or environmental disturbances will hamper. Bulk Purchase Savings – According to IBM, the Enel initiative is the best example of the significant savings possible from the large-scale purchase and implementation of advanced meters. Our preliminary analysis indicates that purchases of fewer than 500,000 meters cost a premium of up to 80% over larger block purchases. So, for example, while a large utility ordering over 500,000 meters may pay $200 per meter, a smaller utility ordering fewer meters would pay $360 each for the same meter. Low Bandwidth - ENEL was the first to use PLC on a mass scale and has the advantage of having evaluated the technology for quite a few years. However, this is narrowband PLC technology and bandwidth can only support simple meter reading functions. Transformers Block BPL Signal - BPL has developed faster in Europe than in the United States due to a historical difference in power system design philosophies. Power distribution uses step-down transformers to reduce the voltage for use by customers. But BPL signals cannot readily pass through transformers, as their high inductance makes them act as low-pass filters, blocking high-frequency signals. So, repeaters must be attached to the transformers. In the U.S., it is common for a small transformer hung from a utility pole to service a single house or a small number of houses. In Europe, it is more common for a somewhat larger transformer to service 10 or 100 houses. For delivering power to customers, this difference in design makes little difference for power distribution. But for delivering BPL over the power grid in a typical U.S. city requires an order of magnitude more repeaters than in a comparable European city. Lack of BPL Standards - Variations in the physical characteristics of the electricity network and the current lack of IEEE standards mean that provisioning of BPL is far from being a standard, repeatable process. Signal Quality- Power lines are inherently a very noisy environment. Every time a device turns on or off, it introduces a pop or click into the line. Energy-saving devices often introduce noisy harmonics into the line. The system must be designed to deal with these natural signaling disruptions and work around them. Radio Interference - Older versions of BPL interferes with ham radios and emergency equipment. In April 2008, in a lawsuit brought by the American Radio Relay League ham radio association, a federal court ruled that the FCC had to rewrite its BPL regulations to solve that problem. BPL companies solved that problem by "notching" the frequencies they used to avoid those that interfered with ham radio. Enel –An Italian energy provider, the third-largest in Europe by market capitalization. Formerly a state-owned monopoly, it is now partially privatised with Italian government control: the largest shareholders are the Italian Ministry of Economy & Finance (21.4%) and the state-run bank Cassa Depositi e Prestiti (10.2%). Echelon San Jose, CA -(Nasdaq: ELON) -Develops, markets, and sells a range of hardware and software products and services that enable original equipment manufacturers and systems integrators to design and implement open, interoperable, and distributed control networks in the building, industrial, transportation, utility/home, and other automation markets. 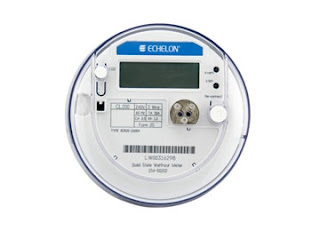 In August Echelon signed a $15.8 million order with utility Duke Energy for smart meters and supporting services. But that initial order for about 120,000 smart meters could expand to $150 million.